Today, we're talking about disc brakes. Your vehicle weighs several thousand pounds and it takes a lot of force to bring it and your passengers to a safe stop – so everything needs to be in good working order. Your family car brake pads start to wear the first time you step on the brakes. Eventually the pads are worn out and need to be replaced. 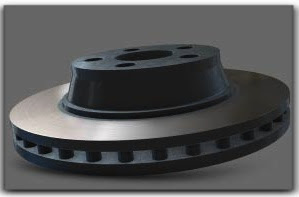 If you don’treplace brake pads when they’re worn out, the metal parts of the brake will grind against the rotor and carve grooves into the surface.